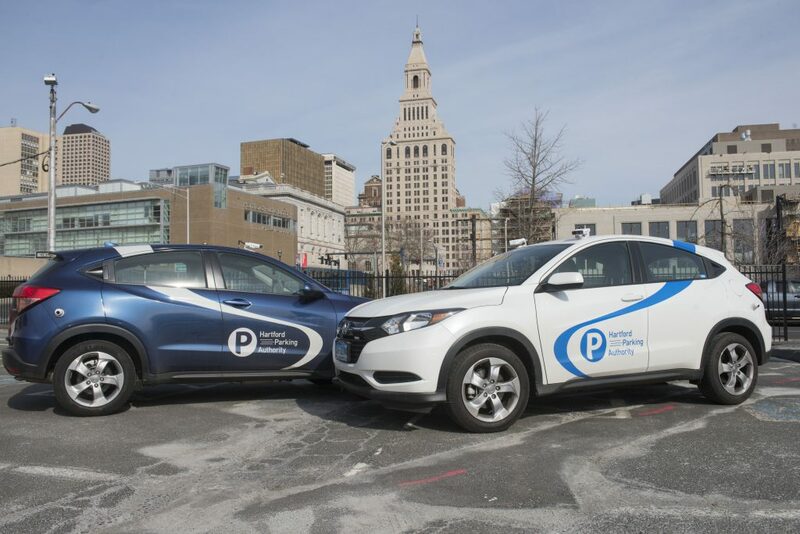 HPA’s Parking Ambassadors are visible on Hartford’s city streets. The ambassadors cover the entire city of Hartford including all streets and neighborhoods. The ambassador patrols daily: street to street, curb to curb and neighborhood to neighborhood. 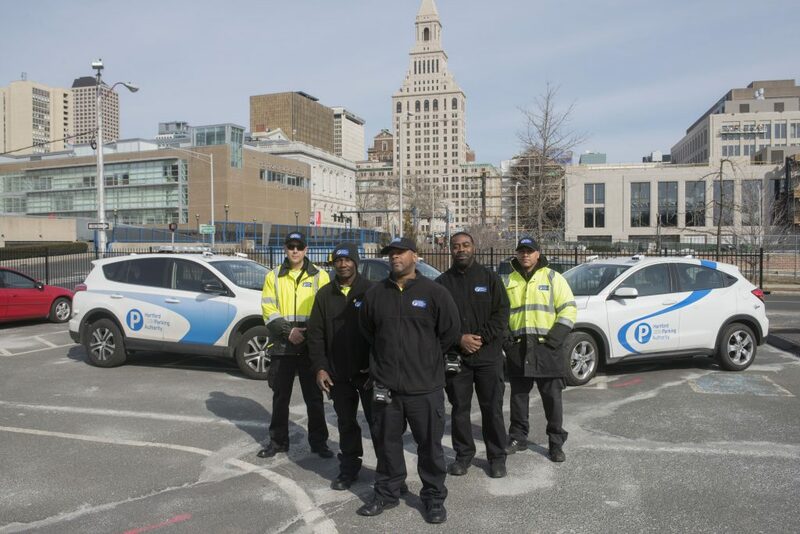 The HPA’s Parking Ambassadors’ primary focus is to provide safety, efficiency and enforcement of metered/regulated parking, along with neighborhood enforcement of parking rules, regulations and signage per the City of Hartford’s ordinance. PLEASE NOTE: If you receive a parking citation, a Parking Ambassador will never request or accept payment from you directly. You can identify official Parking Ambassadors by their uniforms that include Hartford Parking Authority logos (please see example below). If this identification is not visible, please don’t hesitate to ask the Ambassador to show you. Our ambassadors are always willing to help if necessary. It is highly recommended anytime you park, to read the signs completely and carefully to avoid a citation. If you need help, Click Here to learn more about how to read signs in the City of Hartford. PLEASE NOTE: After 6PM on street parking is free. There is also free parking on weekends.